January 15, 2018. Press conference for "The Post" in Milan, Italy, attended by Steven Spielberg, Meryl Streep and Tom Hanks. January 13, 2018. Press conference for "The Post" in Paris, France, with Steven Spielberg, Meryl Streep and Tom Hanks in attendance. January 04, 2018. 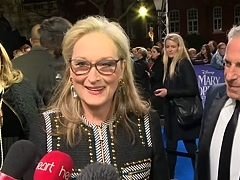 Tom Hanks and Meryl Streep join Steven Spielberg to discuss the making of "The Post" movie prior to its screening at the Palm Springs International Film Festival. January 04, 2018. Q&A for "The Post" at Facebook hosted by Ann Kornblut and Campbell Brown and attended by Meryl Streep, Amy Pascal, Liz Hannah and Kristie Macosko Krieger. December 14, 2017. 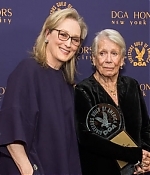 The Washington Post’s chief film critic, Ann Hornaday, joins Steven Spielberg and actors Meryl Streep, Tom Hanks, Bob Odenkirk and Bradley Whitford to talk about "The Post". December 12, 2017. Q&A on "The Post" hosted by BuzzFeed News Editor-in-Chief Ben Smith with Meryl Streep and Tom Hanks. November 27, 2017. 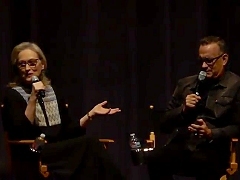 Q&A at the Screen Actors Guild Foundation with Meryl Streep, Tom Hanks and Bradley Whitford.